Information: Lucile Kathryn Czarnowski, teacher and author about folk dance. Lucile was born in 1897. She was an outstanding leader and teacher in the San Francisco bay area, and retired from the University of California at Berkeley in 1973. Her drive for authentic folk material led to the organization of the Research Committee of the Folk Dance Federation of California and she became the Federation's fourth president from 1945 to 1946. As a leader in Dance Education, Lucile was very active in the National Dance Section of the American Association for Health, Physical Education and Recreation (AAHPER). She also contributed a unique book on the dances of Early California. From 1923 to 1973, Lucile was on the faculty of the University of California at Berkeley (UCB). She also was a staff member of the College of the Pacific Folk Dance Camp (later renamed Stockton Folk Dance Camp) and the Idyllwild Folk Dance Camp in California. In 1939, Lucile read a paper entitled "Dance and Its Place in Physical Education" at the Lingiad and the World Congress of Physical Education, Stockholm, Sweden, In recognition for "meritorious cooperation in carrying out of the Lingiad," she received the Lingiad Gold Medal and Lingiad Diploma. This award was authorized by the King of Sweden and presented by the Swedish consulate in San Francisco for her contribution in the dance field. It was Dr. Czarnowski's work on the early volumes of Dances from Near and Far for the Folk Dance Federation of California that was to serve as an international basis for dance notes descriptions. On March 30, 1968 Lucile was honored at a lunchion in St. Louis, Missouri where she received the Dance Heritage award of the National Dance Division of the American Association for Health, Physical Education and Recreation (AAHPR). Lucile died October 7, 1985, in Greenbrae, California, at the age of 90. Dances of Early California Days. Palo Alto, California: Pacific Books, 1950, 159p. Dances of Early California Days. 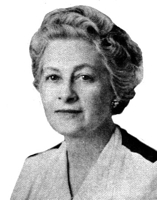 Czarnowski, Lucile Kathryn. Palo Alto, Cal. : Pacific Books, 1950, 159p. (microfilm OCLC 20609246, sound recording at 14154349). Folk Dance Teaching Cues: a revised edition of Part I of How to Teach Folk and Square Dance, by Lucile K. Czarnowski and Jack B. McKay, 1953. Stockton, Calif.: University of the Pacific Folk Dance Camp, 1961, 125p. [OCLC 12306722]; 3d and enl. ed. Palo Alto, Cal. : National Press, 1963, 1969, 93p. (OCLC 29463075). How to Teach Folk and Square Dance. Lucile K. Czarnowski and Jack B. McKay, "Part of a larger work in progress." Oakland, Cal. : Triangle Print, 1953, 43p. (OCLC 18031278). Some Genetic Phases of the Dance. Czarnowski, Lucille. M.S. thesis, University of Wisconsin, 1931. 85p. Not folk dance. American Association for Health, Physical Education, Recreation and Dance, an article.